Aborted guitarist B.S.T. (a.k.a. 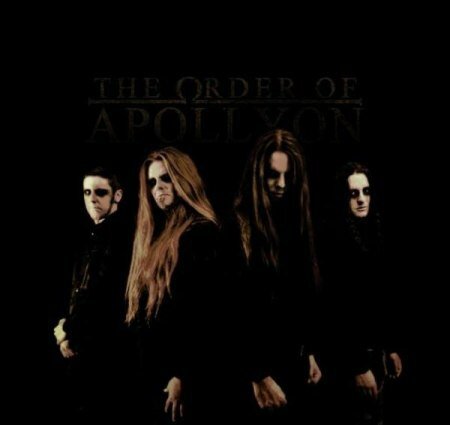 Sébastien Tuvi) and drummer Daniel Wilding have formed the Black/Death Metal project called The Order Of Apollyon. This Is Black Metal Webzine met B.S.T., the mastermind of this act and talked with him about the story behind this project, their new masterpiece “Moriah” that will be released tomorrow (October 26th, 2018) and their future plans.  This Is Black Metal: Hello B.S.T., nice to talk with you, by the time you left Aborted, what lead you to start The Order of Apollyon? TIBM: The name of the band is related with the apocalypse, what’s the story behind it, why did you choose it? B.S.T. : Back then I was starting obsessing about the scriptures, some books of interpretations, and also occult theories regarding the nature of angels, the book of Enoch, and a few other things. The Angel Of The Bottomless Pit, as described in The Revelation Of John, is truly something that fascinated me, as well as the idea developed by certain gnostic currents of a duality between God and the Devil, Good and Evil. There’s an ambiguity about this character, and this whole chapter of the Gospels, which I found an interesting foundation upon which to build up this artistic concept. TIBM: What were your musical inspirations and influences when you started the band and what are they nowadays? 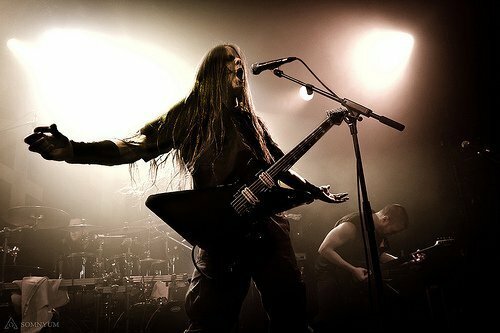 TIBM: As a man of faith, how did you end up in the Black Metal scene? B.S.T. : We’re all men of faith here. It seems inappropriate to envision a-spiritual Black Metal. TIBM: Your new album Moriah will be released this month, what can we expect from its concept lyrically and ideologically? sacrality and power of Death, the necessary Evil that prevents the collapse of all that is. Death if deified in most of these texts. TIBM: Would you say it’s your best work so far? What makes it stand out from the other Black Metal releases we got this year? B.S.T. : I would, as cliché as it sounds. I’ll be honest with you, I haven’t been keeping up with everything that has been released this year, and when creating something I try to avoid being too influenced by new things, as it tends to impair the sense of spontaneity that I feel is necessary to lay the foundation of good art. TIBM: Was it entirelly written by you, or did the other members take a part in it? B.S.T. : All music is composed by me, but all three of my comrades were allowed to add their own touch to things, so the end result is really a group effort. AK, our bass player, did write the lyrics for “The Lies Of Moriah”, the opening track of the album. Also, the lyrics for “The Original Cries Of Jerusalem” were written by a friend of mine, who also is the main creative force behind the amazing Death Metal band EPOCH. TIBM: You have a studio, what bands have been recording there lately? B.S.T. : Besides my own bands, I’ve been pretty busy these days. I just finished mixing and mastering the debut album of a band from Alaska, called YALDABAOTH. Really cool stuff, you should check it out. I’m currently in the midst of several other works, which I can’t reveal for now, but many exciting projects indeed. Those who want to know more about this can find all the info on BST Studio’s facebook page. TIBM: Will there be some dates to support the new album? B.S.T. : We’re open to any proposition, yes. Promoters can get in touch at bst.balrog@gmail.com . TIBM: As we are coming to the end of this interview, please leave a message for our readers. B.S.T. : Thank you for your support. Keep spreading the Word. Judgement Is Upon Us. TIBM: Thanks for your time!